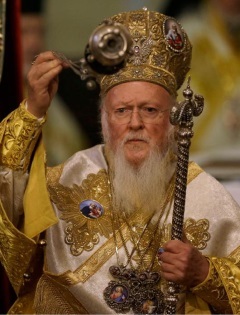 The studentship in honour of his All-Holiness the Ecumenical Patriarch Bartholomaios I, on the occasion of the tenth anniversary of his accession to the Patriarchal throne of Constantinople, was established by the Orthodox Cultural Association of Athens, through a generous donation by Mrs Angeliki Frangos in memory of her late mother Stela N. Frangos. The studentship was established by the Friends of the Hellenic Institute in memory of the distinguished Greek Byzantinist Nikolaos Oikonomides (1934-2000), in recognition of his outstanding contribution to Byzantine Studies. Both studentships are awarded towards tuition fees at UK/EU rate for one year and are open to full-time and part-time UK/EU and overseas students who wish to pursue the MA in History: Hellenic Studies, or the MA in Late Antique and Byzantine Studies, or MPhil/PhD research in some aspect of Hellenic and/or Byzantine studies at the Hellenic Institute, Royal Holloway, University of London. The closing date for submission of applications is 1 September 2017. Established thanks to a generous grant awarded by the Ministry of Education and Culture of the Republic of Cyprus, in honour of George of Cyprus, later Ecumenical Patriarch of Constantinople (under the name Gregory II, 1283-9). Born in Cyprus, in 1240, then under Latin occupation, at the age of seventeen he fled to Nicaea, the Byzantine Empire in exile, in order to pursue his studies. After the restoration of the Byzantine Empire in 1261, he settled in Constantinople, where he completed his higher education and subsequently taught the eminent scholars of the next generation. One aspect of his personality was his tenacity and dedication to his studies, despite enormous adversities. Established in memory of J. Chrysostomides (1928-2008), Emeritus Reader in Byzantine History in the University of London and former Director of the Hellenic Institute at Royal Holloway College. In memory of Pat Macklin (1915-2009), former student and Friend of the Hellenic Institute at Royal Holloway College. Established thanks to an annual donation by Mr Yiannis Chronopoulos, graduate and Friend of the Hellenic Institute, in memory of his cousin Konstantinos Kokonouzis (1974-1997), who served as Second Lieutenant (Engineer) in the Hellenic Air Force (offered only to self-supported students). All Bursaries are offered towards support and research expenses to part-time and full-time students who pursue MA programmes and MPhil/PhD research in Hellenic and Byzantine Studies at Royal Holloway, University of London. There is no closing date for submission of applications for these bursaries. In memory of the eminent Hellenist Professor J.P. Barron (1934-2008), former Master of St Peter's College, Oxford, Director of the Institute of Classical Studies, and Friend and member of the Steering Group of the Hellenic Institute at Royal Holloway College. The Prize (£250) is offered to students who complete the MA History: Hellenic Studies at the Hellenic Institute with the mark of distinction. In memory of the distinguished Byzantine scholar and teacher J.M. Hussey (1907-2006), Emeritus Professor of History in the University of London and former Head of the History Department at Royal Holloway College. The Prize (£250) is awarded annually to Hellenic Institute students who complete the MA in Late Antique and Byzantine Studies with the mark of distinction. There are no special application forms for the studentships and bursaries. Applicants should send a letter of application to Dr Charalambos Dendrinos, Director, The Hellenic Institute, History Department, Egham, Surrey TW20 0EX, UK.